The Van Horn City Council met in regular session last Tuesday and continued their work on protecting the town’s water supplies. Council voted to award the bid for replacing the water storage tank on Houston Street to Smithco at a cost of $547,499 for the 250,000-gallon tank. They also voted to rent a temporary generator to run water wells in the event of a power outage. Van Horn will buy three generators through a grant which has already been awarded and will ensure that the town’s water supply is protected. In light of recent criticism of elected officials for not sponsoring a fireworks display, Council reported that there are stringent rules and regulations governed by the State Fire Marshall’s office. Van Horn would have to obtain a permit from that office as well as rescind their own burn ban to proceed. The town’s liability insurance carrier would also have to be notified and agree to insure the town for at least $1,000,000 for any damage caused by the fireworks, an unlikely scenario given the severe drought that plagued almost the entire state during the July 4th holiday. 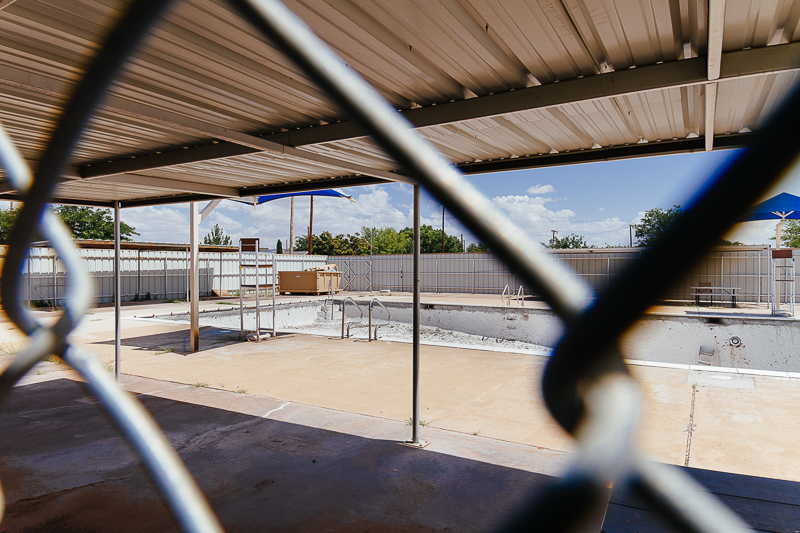 Till next season- Following discussion and careful consideration regarding a report on the City Pool, it was determined that the pool would require more significant repairs and equipment replacement. A quote from Accynmar Pool Construction for $45,300.00 had previously been approved during a special meeting on June, 4. The city will be looking at a summer 2019 opening. In other action, City Administrator, Fran Malafronte reported that she had sent out questionnaires to the residents living on Eisenhower Road, about a recent request by some local citizens to change the name of the street to Bill Lipsey Road. Malafronte reported that all but one resident voted to keep the current name of the street, and the hospital also concurred that changing the name would create a logistical nightmare. A spokesperson for the Culberson County Hospital Board said that there are plans to memorialize the late Dr. Lipsey at the hospital.